It was recently discovered that millions of ADSL routers were hacked in Brazil to create a large botnet chain. This is an unprecedented move that goes to show that not even our routers are safe from attackers. Many homes and offices use Wi-Fi routers for web access today so it is important to understand the need to keep these devices protected. Unfortunately, attackers have now come up with innovative methods to infect a router. A compromised router is dangerous because an attacker can direct a victim to fake pages that derive information and convince him to install malicious programs. Moreover, such pages can also contain drive-by downloads or malicious Java applets that can infect a system. Advanced attackers can even make use of spyware and other tools to record keyboard strokes, real-time videos through the webcam, audio recordings through the microphone and other data. 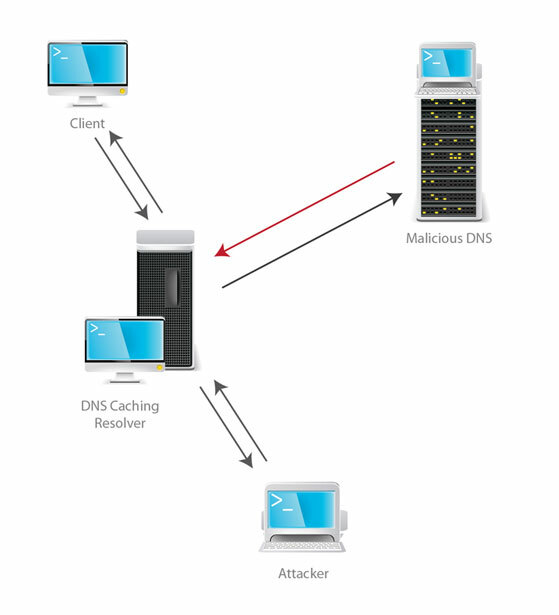 These nefarious incidents occur when an infected router leads to a malicious DNS server. Routers that are vulnerable to such attacks can be remotely accessed from the web and then programmed to direct machines to fake websites. The primary cause of this vulnerability is that a majority of users do not change the default username and password for routers that they own. They simply use the default entries provided by a manufacturer instead. This username and password is required to access the configuration of the router and it can only be accessed by visiting a unique IP address that the manufacturer provides. Moreover, security patches and fixes for router vulnerabilities are released very rarely. So if there is a vulnerability present, it takes a long time to resolve. Most users are also unaware about the need to update the firmware in their routers and this prolongs the time period for which a router can be exploited. The default password provided by the manufacturer must be changed. The way to implement this can be learned from the router user manual or a Google search or a call to the support team. If a firmware update for the router is available, it should be installed immediately. If a router has a hardware firewall, it should be implemented. This Internet firewall protection can be enabled from the router settings configuration page. The WAN ping feature from the configuration page should be disabled. This feature allows hackers to check if a WAN IP address is valid. Security encryption like WPA2 or WPA (Wi-Fi Protected Access) must be enabled. This ensures that no party can access a WiFi connection and router without the password. The best system protection software is essential for complete computer security, but there are certain manual steps that need to be taken as well. Attackers can only infect routers and machines if there is some form of vulnerability for them to exploit and such vulnerabilities can only be found on unpatched machines. It is strongly recommended that you upgrade to Quick Heal 2013 for protection against the latest malware threats and attack methods exploited by attackers. 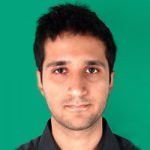 Thanks rahul for en-lighting the Router vulnerabilities and the need to update the firmware. Another one more attack technique on network…!!! thanks, for your fruitful advise- Rahul.. Thanks, Rahul, for this latest threat information. I use a wi-fi modem, and have got my user id and password changed by the service provider. Is that enough? I also use Quick Heal Internet security AV in my system. Can you also let m know about this anti-logger software available on the net? Does it help, if installed? Something about this will also help. When you respond, will it be possible to mail a copy to me too? We cannot comment on this software. It is good that you have changed the user ID and password. Update your antivirus software regularly and your system will remain protected. Thanks for the Info :-)) ….. Your PC and network are well protected if you have updated your OS and antivirus software. If you have any further issues regarding your Quick Heal product, please visit this link – http://www.quickheal.com/submitticket.asp. Here you can submit a ticket and our support team will get back to you. Thanks Mr.Rahul sir, how can get firmware update me.please give your advice always.Thanks again. You must check the website of the manufacturer of your router to check for firmware updates. Alternately, you can speak to their support numbers also to know about these updates. One more Security measure is enabling MAC address filtering. Can you confirm that Quick heal servers are malware proof? And online update must take of that..either Quickheal 2012 or 2013….!! Yes the Quick Heal servers are malware proof. Hey Rahul I have 27 computer in my office and it’s connected WORKGROUP,and I have WI-Fi Router.. So what is problem? Could you be more clear about what the issue is. Thanks for the information. We appreciate it as it is helpful to millions out there who are not very tech savy. Great work. Keep posting such info for benefit of all. Thanks for this important News Today. i face many problems with Wi-Fi router. thnnx. .
thank sir for inform that us…..please solve this problums….I request you. Your article on router vulnerability will certainly help the users to take more precautions. Thanks for the imformation Rahul.. another grate security setting is that MAC ADDRESS BINDING ENABLE ON YOUR ROUTER. Thank you Mr Rahul providing us with valuable information regarding malware. I have my PC in my house with Router & I have quickheal software of total security. Should I change User ID & Password. Yes it is advisable to change your user ID and password for the router in your scenario. I want to update QHIS 12 but an error occured A dialog box appears that shows ” Unable to complete the download process due to internet disconnected from remote side please check the internet connection ” but the internet is connected i cant understand the problem please solve the issue. Kindly try the update process again. If the same error occurs, you can visit this link to submit a ticket – http://www.quickheal.com/builds.asp. Our support team will get back to you with a solution. I received a mail with subject UPS member. But when I open attachment file with mail. My pc suddenly restart and Guardian antivarus give me massage that my saystem atack with virus and theft data online. I immedaitly log off my system and load the fresh window and load Quick Heal antivirus . plz suggest what happen now . You should not open the attachments on such emails. It seems that your machine has been infected with some malware. Please run a full system scam with your Quick Heal product. Or visit this link – http://www.quickheal.com/builds.asp. i am running a site through my thru wamp server… should i change the id pass? You can change the password as a preventive measure if you feel that you are susceptible to attacks like this. It is very hard to find out if someone has discovered a password or not. The best thing to do when in doubt, is to change the password immediately. Thank you for details & preventive care suggested regarding Wi-fi Routers. At present we are using Quick Heal Total Security 13.00 on our system & are using Zyxel Wi-fi Router. I think we are victims of the issue. We are facing similar problems as discussed by you. We are directed to different websites & also, display of web pages of certain websites takes long time. Some websites ask us to login again & again. We did not faced such problems earlier. Our Internet Connectivity is excellent. (i.e google & Facebook )our Location is displayed as Aurangabad. during day i.e between 9AM to 8.30 PM & it displays Nasik at night i.e 8.30 PM to 9AM. We will be obliged if you suggest extra preventive actions also. If this attack has occurred on your router, it is a very serious issue. You need to take corrective steps immediately. We recommend that you visit our support page and submit a ticket – http://www.quickheal.com/submitticket.asp. Our support team will get back to you. You can also call our support team for further analysis. You should also update the firmware of your router immediately. Rahul sir,, i think someone is trying to hack my computer, i used quick heal total security. can it protect my laptop from these type of hackers or i should have to change my antivirus software, please give me some suitable direction in my mail as soon as possible. Quick Heal Total Security will keep your machine protected from hackers and other attacks. If you need further help you can visit this link and our support team will get back to you – http://www.quickheal.com/submitticket.asp. Thanks for informing about this….!! Thanks for informing about these viruses….. I have a probel with blue screen and dump memory problem…Blue screen appears and it says that it is due to caching.Please provide solution with this problem..
Kindly visit this link – http://www.quickheal.com/submitticket.asp. You can submit details about your problem here and our support team will get back to you. we have problem with blue screen and dump memory.. There is a problem of Caching.. Please provide solution for it. The chances that this is happening due to software are very low. Check if the screen has physical signs of damage. If not, use a different program to watch movies. Or view a different video file, maybe the file you saw was corrupted. Thank you, for informing, I’ll be more careful about that !! how can i change my default password provided my manufacturer to my com from vulnerablre wi-fi router????? If you have a user manual for the router, the steps will be mentioned there. If not, you can visit their website and get the steps. If that does not work, you will need to call their support number. Hello Sir, Please Repeir my Anti Vourous. Please visit this link to report any issue with your Quick Heal product – http://www.quickheal.com/submitticket.asp. Our support team will then contact you with a solution. Hello Sir, What is Wi-Fi Routers. Wi-Fi routers are wireless modems that allow your laptop/mobile/other devices to connect to the Internet wirelessly. Thank you Rahul for awaring Wi-Fi router threat. It is a great tip to protect our system. Again many – many thanks and with regards. thanks for useful information. I certainly ensure its implementation. thanks for guiding us on a new threat through Wi-Fi. Wow. good initiative to alert common man. Have you tried contacting the manufacturer of the router? If you need any help from us, kindly contact our support team at 0-927-22-33-000. You can also raise a query at http://www.quickheal.com/submitticket.asp. Our support team will get back to you to resolve the issue you are facing.